With the new M+M Mini-Turbine, we have created an innovation in the field of small - scale steam turbines. 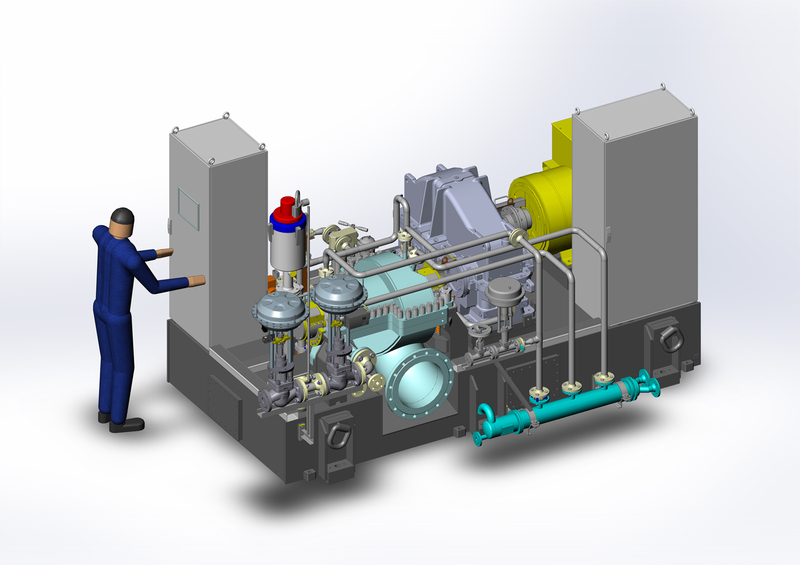 Up to now, many potential applications for steam turbines in the low - power range have not been justifiable. We have developed thesolution. For our customers, we provide with the Mini-Turbine an individual turbine design, optimized to the exact process requirements of the plant. In this manner, applications which previously were not economically feasible, due to high capital cost and low power production, have now become realistic. The high level of efficiency is achieved through a multi - stage turbine rotor operating at 21.500 rpm. In addition, the compact construction of the entire turbine - generator package leads to fast installation and commissioning times. Thanks to M+M’s Mini-Turbine, our customers can now use even small amounts of steam effectively.